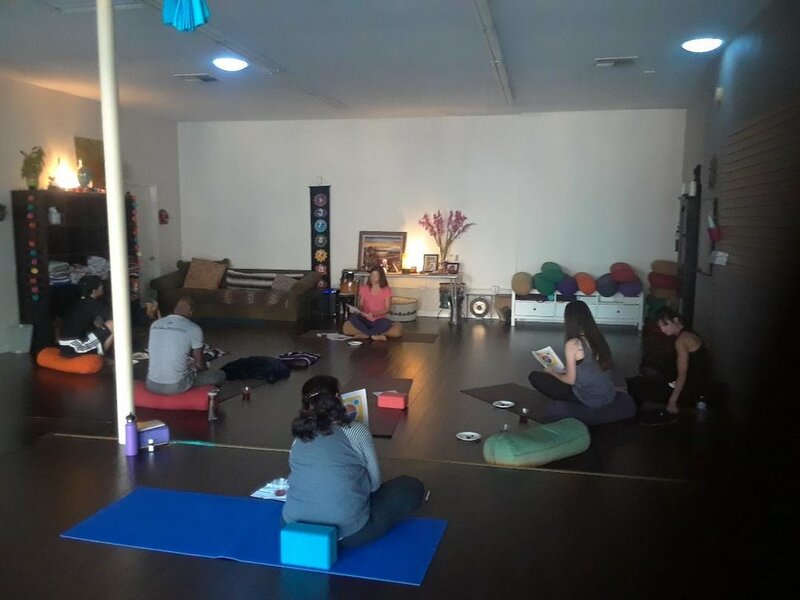 Our first Mindfulness workshop in Long Beach, CA. This month we hosted our first workshop! Josephine and I wanted to create a class that combined both of our passions: Yoga and food. We had a lot of fun preparing for the seminar. It was a very practical learning experience for us. For those of you who missed it, the topic was mindfulness. We kick-started the workshop with ten minutes of guided meditation, then moved on to a mindful yoga flow. After a quick break (over refreshing homemade cranberry rosemary sparkling water), we had a discussion on the topic of food, and how to stay mindful during the holiday season. We concluded the workshop with several mindful-eating exercises, then we all chilled out and mingled over the healthy treats that we had prepared. Mindfulness is knowing what you are experiencing while experiencing it. It is moment to moment awareness, has the quality of being in the now, a sense of freedom, of perspective, of being connected, not judging. Practicing mindfulness during morning cup of tea. Mindfulness can be practiced anywhere. You can observe your mental state while walking, eating, meditating, gardening, cooking, yoga, and so on. You need to focus on being in the present moment and increasing your awareness. Whenever you catch your mind drifting off, just take notice of that condition, but without any judgment then bring your focus back to Now. 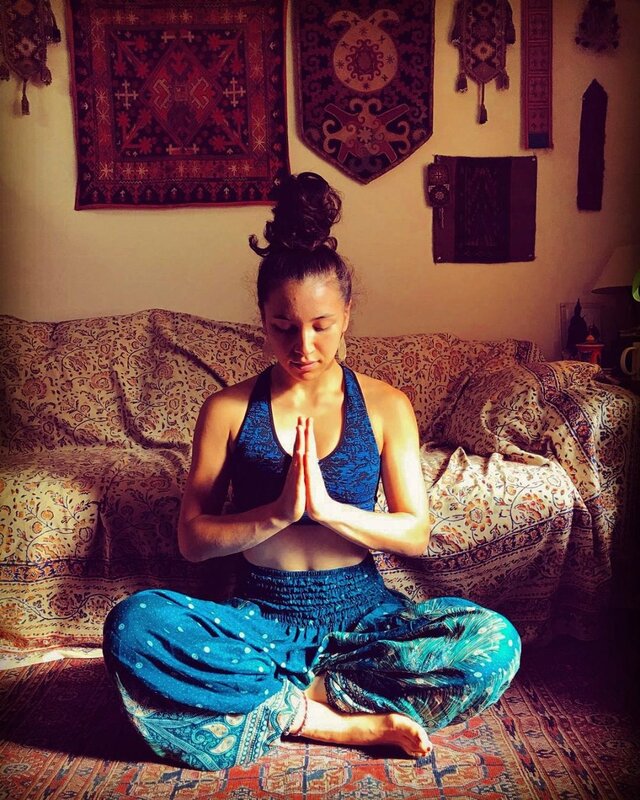 When practicing Mindfulness during meditation and yoga, we tend to always return our focus to your breathing whenever we catch ourself drifting off. During yoga practice, mindfulness can be enhanced by focusing on the sensations each yoga pose produces in your body and mind. If you catch yourself thinking about what you are going to do after yoga class or if you compare yourself to others in the class, then merely pay attention to the thought, acknowledge them, and let them go without any judgment. Then bring your focus back to your breathing and experience the sensations that arise from the practice at that moment. When you can consistently practice mindfulness in yoga, meditation or any other activities, then you are controlling your mind rather than letting your mind control you. When anger, jealousy, or hatred starts to arise, you should become the impartial observer of your mind. Where previously you might have been overcome with negative emotions, now you should be able to dispassionately notice each of those feelings. You can reflect, acknowledge and observe them without judgment and let them go one by one. With consistent mindfulness practice, we can live our lives less as an emotional rollercoaster and with increased equanimity.